Brighton, MI—June 4, 2018—Lowry Solutions announced today that are showing a working demonstration of the Alien Technology F800X with Emissary, combined with the SensThys Hydra array, at their booth at the GS1 Connect Conference in Phoenix Arizona from June 4 to 7, 2018. 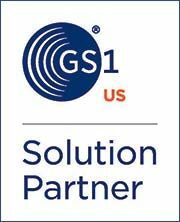 GS1 Connect is a global conference for the GS1 US® member-based information standards organization. Lowry Solutions prides itself on being a rapid adopter of Alien passive RFID readers, the Emissary Software, the Hydra Platform and related advances made possible by Alien Technology solutions. “We are excited to see the evolution of IoT with innovative solutions such as Sonaria from Lowry Solutions combined with the revolutionary ALR-F800-X with Emissary series managing not only real-world supply chain data but also a suite of hardware capturing data, all managed real-time and at the speed of commerce,” stated Steven R. Schauer, Marketing Director, Alien Technology. “Alien Technology has been a great partner of ours in the RFID solutions arena. We are excited to be able to showcase the full effect of this partnership at this event,” replied Mike Lowry, Lowry Solutions’s CEO. Lowry Solutions is at booths 41-42. For more information about GS1 Connect, please visit them at gs1us.org/conference.